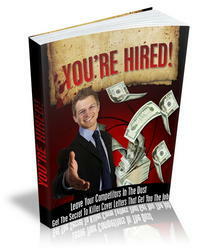 Most of this book addresses how to write the formal cover letters that will accompany your resume on most occasions. 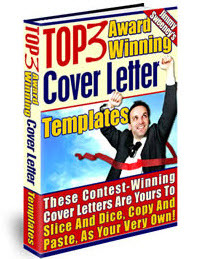 Earlier we mentioned that a quick note can take the place of a cover letter and be just as effective. Jerry, thanks for suggesting I speak with Reggie Tyler. We are meeting next Friday and I will keep you in the loop! In the meantime, I am attaching my resume in case you have the occasion to pass it on. I appreciate all of your help. Laura, congratulations on the great press coverage! You might like this extra copy for your files. I am eager to share my job search progress with you—I will give you a call soon. Bob—Thought you'd enjoy this article. It is right in line with our recent conversation. Would you have a few minutes to talk later this week? I will call to set it up. Terri, it was good to see you today. As you suggested, here is my resume. I'll call to see whether you might be able to get away for a cup of coffee on Friday. I'd love to get your ideas and insights. • A quick, informal note should never be sent to someone you don't know. In those instances, a formal cover letter is more appropriate. Note: You should consider sending quick notes or letters to anyone who helps you in your job search. This includes those who simply give you the name of someone to contact or who spoke with you on the phone. 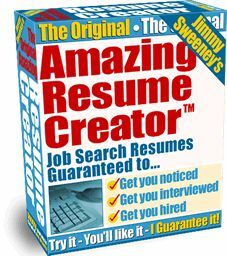 Besides showing good manners, it provides you with an opportunity to provide additional information about yourself via an enclosed resume and JIST Card (which people can pass along to others). It will also help to keep your needs in others' minds. • Quick notes must be short. If you are writing more than three or four sentences, use a letter instead. • Quick notes are a great way to stay in contact with people in your network. They are no-response-required communications that put no pressure on your contacts. How to write a note to pass on your resume? How to write letter of quick notes?